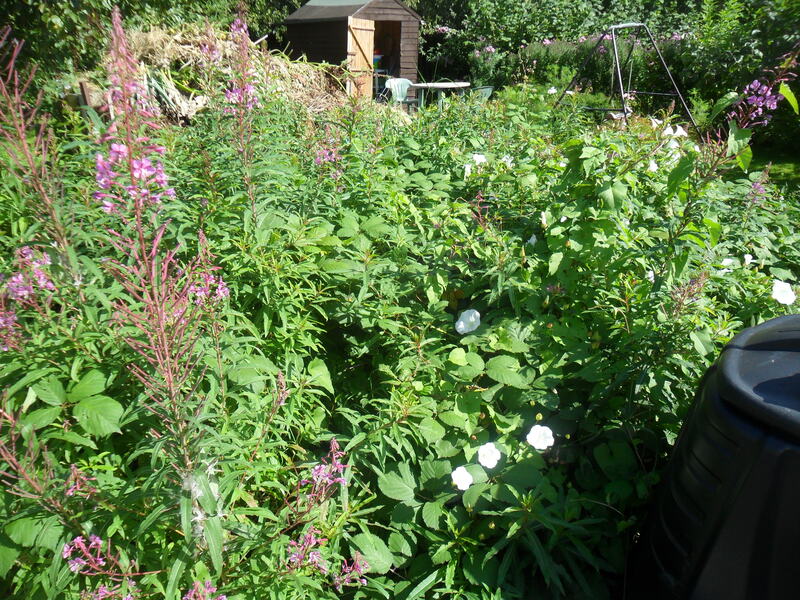 Last week I was asked if I had any tips on clearing an overgrown allotment. 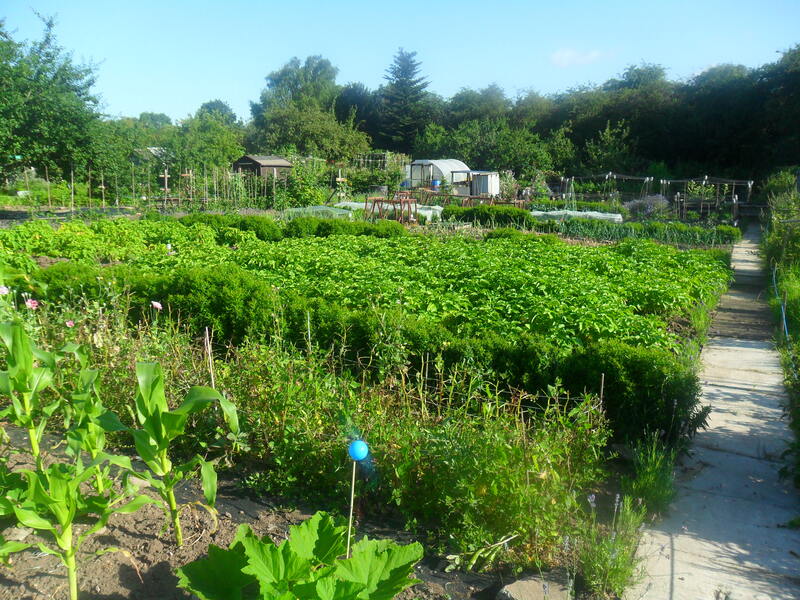 I thought this would be a good subject to write about, especially as two out of my four allotments were very overgrown when I took the plots on. 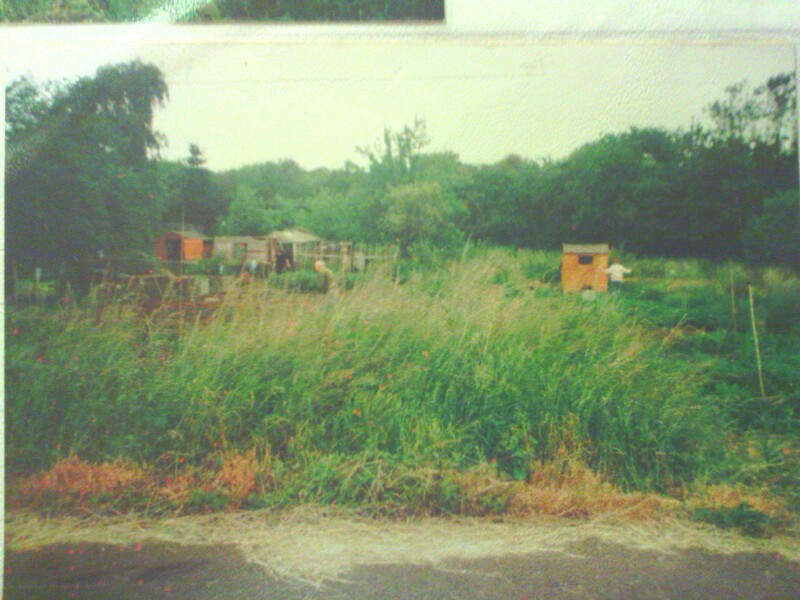 As allotment number three was so overgrown, the allotment society didn’t charge me rent in the second year, as they deemed it too overgrown to grow anything the first year (though I did have a good harvest from it). I love a good challenge and I like nothing better than taming an overgrown allotment, especially when people tell me that it will be too much for me, or I will never manage it. I find it so exciting, as you never know quite what you are going to find under all the overgrown weeds and brambles. 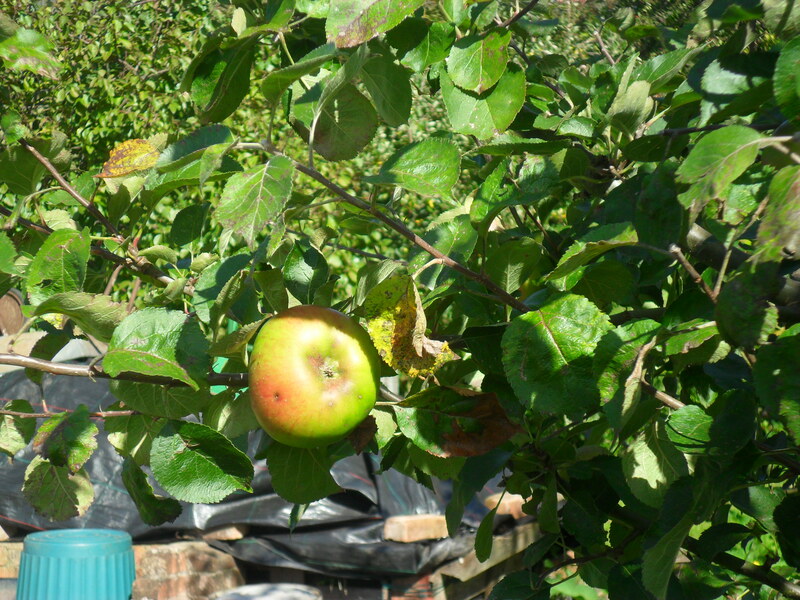 In fact, I found a dwarf bramley apple tree on my first allotment at the back, which I had no idea was there. If you have been offered an overgrown allotment and it is covered in weeds and brambles, please do not feel disheartened. In actual fact, an allotment that is lush in weeds is usually very fertile. If you have large areas of nettles, docks, daisy’s and buttercups, then you are likely to have acidic soil. If you have large areas of chickweed, then your soil is likely to be more alkaline. Large areas of dock and mares tail (sometimes known as horse tail), indicate damp conditions. Large areas of clover indicate a lack of nitrogen, whilst large areas of nettles show your soil is rich in nitrogen. The next thing I did was to cut back the weeds so I could actually see how big my plot was. 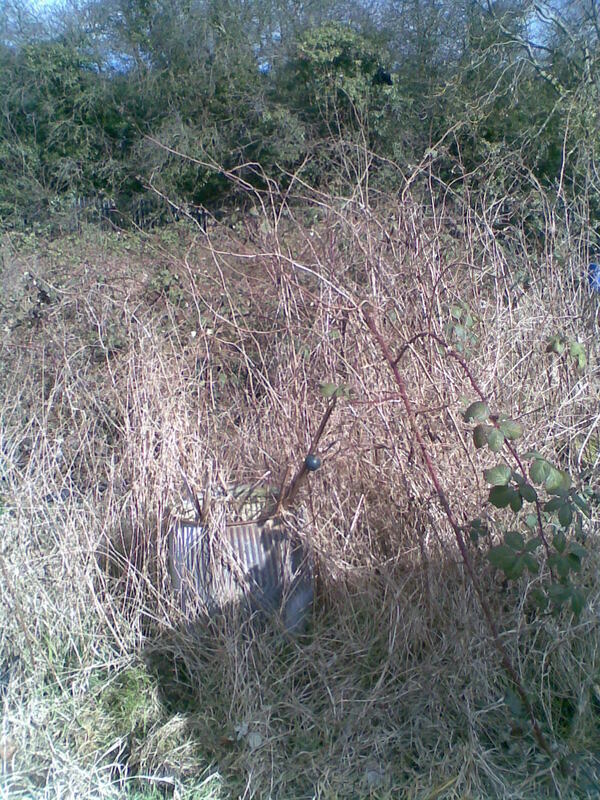 The top half of my first allotment was mainly couch grass, so it was easy to strim, however the bottom half of my third plot was completely covered in brambles above my head, so I cut the brambles down using my loppers. I’ve got to be honest, it did take some time to cut the brambles down and I made sure I had a very thick pair of gardening gloves to wear. After this, I built a large compost bin out of pallets and I put all the weeds, couch grass and even the brambles into it. I left this compost area for five years, without turning it and it made the most wonderful free compost. Yes it did have weed seeds in, but as I’ve said before, if you hoe each and every week then this just isn’t a problem. At this stage I needed to decide how much time I was planning to spend on my allotment. 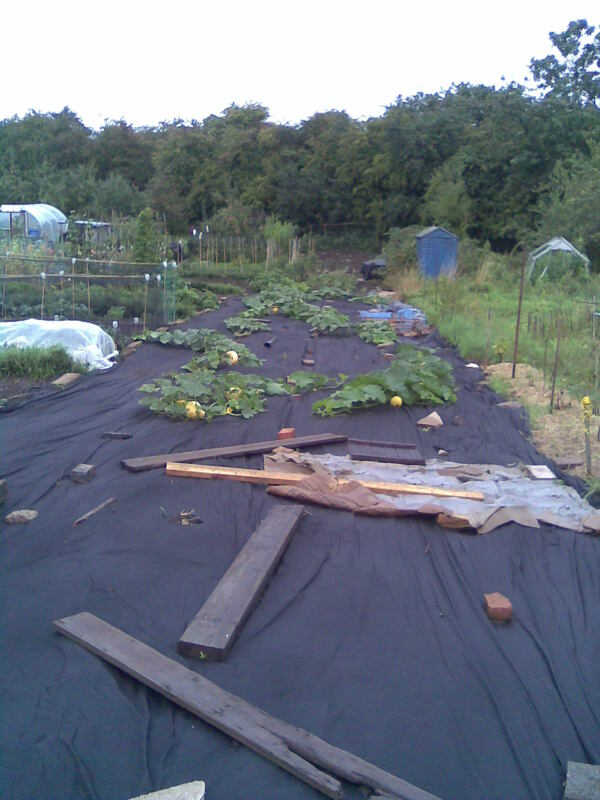 I decided to cover one end of my third allotment in weed suppressant. It wasn’t cheap to do this, in fact it cost me approximately £30 on eBay. I left it for six months and it killed all the couch grass and most of the perennial weeds, so it really did take the hard work out of it for me. I actually just dug the dead couch grass into the soil afterwards. A word of warning though, if your plot has lots of bindweed on, then this will just travel under the weed suppressant until it finds some light at the edges. If you do decide to cover your plot with weed suppressant, you can actually put some plants into it, you can see in the photo above that I planted pumpkins through mine. Brambles will need to be dug out. I once read that if you disturb the roots of brambles they will die. I certainly found this to be untrue as I spent six months digging up brambles again and again. I found the area covered in brambles the hardest to clear. Eventually, I managed to plant my dwarf fruit trees in this area. If you really can’t wait and decide you have to use chemicals, then you will need to use a glyphosate weed killer. This should be used when the weeds are growing actively. 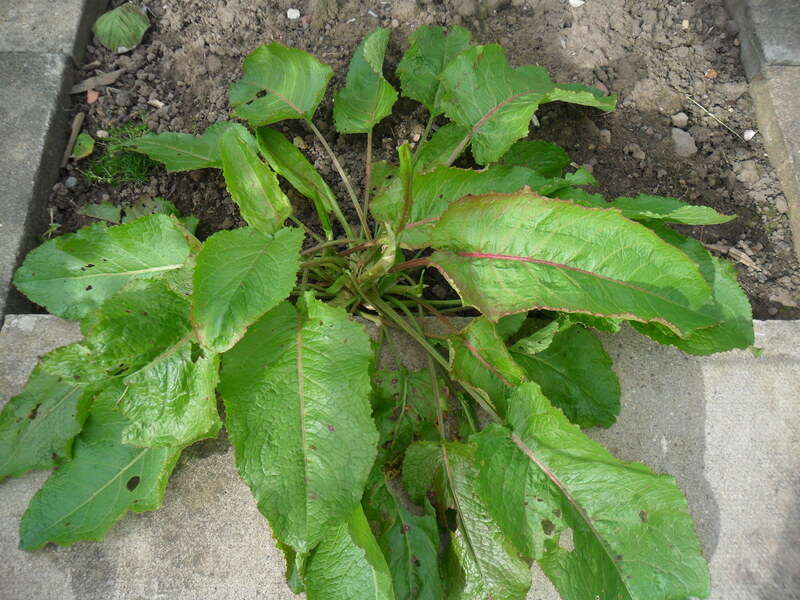 However, this can be an expensive option too, as you may need to spray more than once to kill the perennial weeds. Using chemicals may be a quick, effortless way to kill weeds, but you need to trust the chemical company’s information and be sure you do not mind growing food on soil that you have sprayed complex chemicals on. 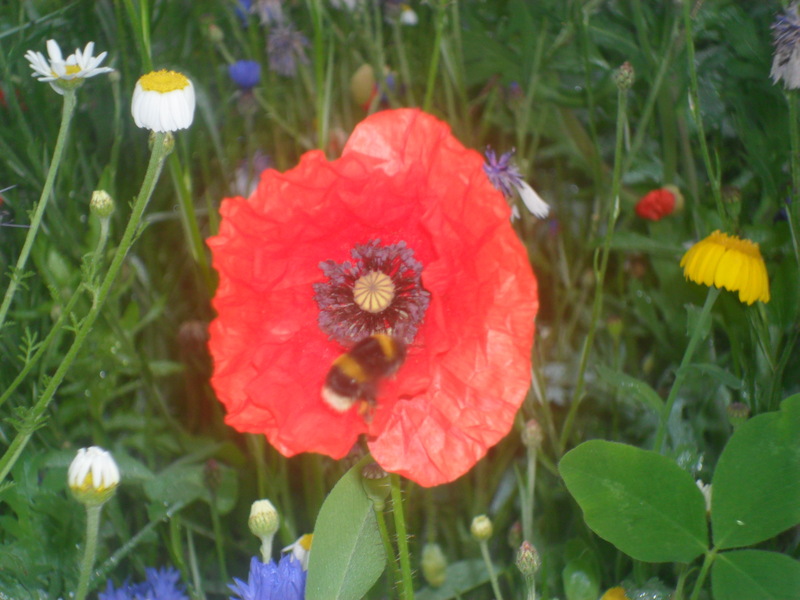 Please bare in mind that it will also destroy all the beneficial insects on your allotment too, which will take time to build up again. I then decided I was going to dig part of my plot over. I think it is a good idea to cover an area with weed suppressant, while you concentrate on digging another area. If you try to cultivate a whole plot at once it can just become too much for you. I have seen many people rotavate their plots after they have strimmed, to remove the top growth of the weeds. The plots look wonderful for a few weeks, until the dreaded weeds come back with revenge. The problem with rotavating your ground is that it chops up all the roots of the weeds. Bindweed, couch grass and mare’s tail all love this. From each tiny piece of chopped up root, a new plant grows, so all you will have done is increase your perennial weeds, which is not a good thing! I preferred to dig over my ground so I could remove all the weeds, one at a time. It did take a long time to do this, but it is so worth it in the long run. In the process, I put every single weed in my newly built compost bin which made the wonderful compost five years later and the digging certainly helped me to get fit. One thing that you must remember when you take on an overgrown allotment is ‘Rome wasn’t built in a day’. 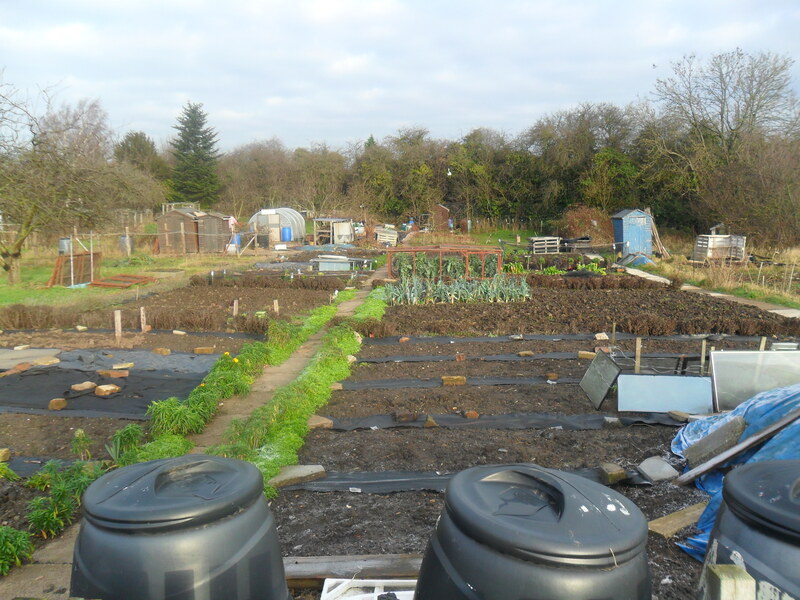 It can take months or even years to get an allotment the way you want it. Don’t rush as it can save you time in the long run. I hope this information has been useful if you are thinking of taking an overgrown plot on.